With all of the school gun violence that’s been going on in this country, schools are looking for ways to better protect their students. McDowell High School went viral across the country because of their new idea to supply all their teachers with mini baseball bats for protection against school shooters. This story was picked up by news outlets nationwide, and most people tended to think the idea wouldn’t really work. The mini bats were claimed to be meant as a last resort. 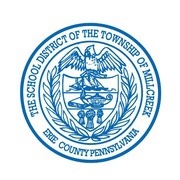 Millcreek Township School District Superintendent William Hall backed Millcreek’s reason for getting mini bats by saying they don’t want their students and staff to just be sitting ducks. He also talked about how the mini bats are mainly symbolic but available as a last option in the event of an active school shooter. A lot of people across the country have been making jokes about the idea and think it doesn’t make sense. Twitter was blowing up about it, and the idea even managed to become one of the top trending topics on Twitter. Mrs. Vomero, who is currently an English teacher at Cathedral Prep, gave some insight on the matter. She said, “I just don’t see the point of investing money in that because I don’t even know how it could really help you.” Mrs. Vomero also stated that there are other things that could be used as self defense that are better than mini baseball bats. Using a mini baseball bat wouldn’t really make sense because you would have to get extremely close to the school shooter in order to actually harm him with the mini bat. Another Pennsylvania school district had an idea on a way to protect their students by supplying the classroom with a bucket of rocks. Hopefully more schools across the country will improve on these idea to find solutions make our schools safer.